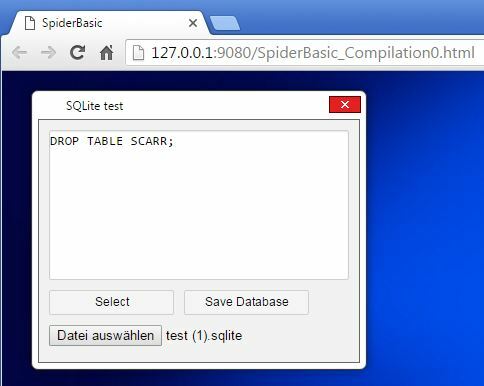 SQLite is a very good database library, you can find it here: http://www.sqlite.org/. 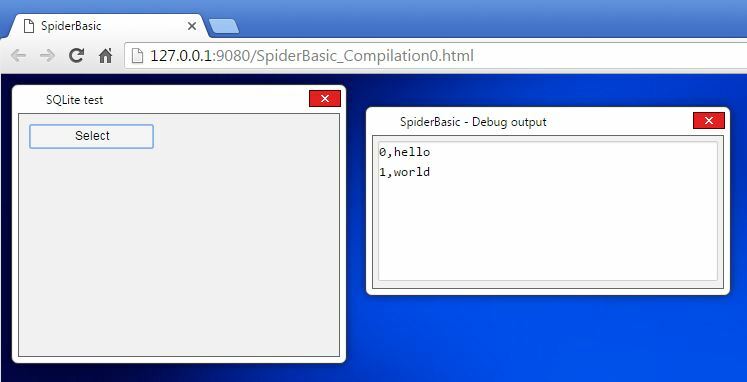 strsql = "CREATE TABLE hello (a int, b char);"
strsql = strsql + "INSERT INTO hello VALUES (0, 'hello');"
strsql = strsql + "INSERT INTO hello VALUES (1, 'world');"
These are my first steps but it shows how to use SQLite with SpiderBasic. 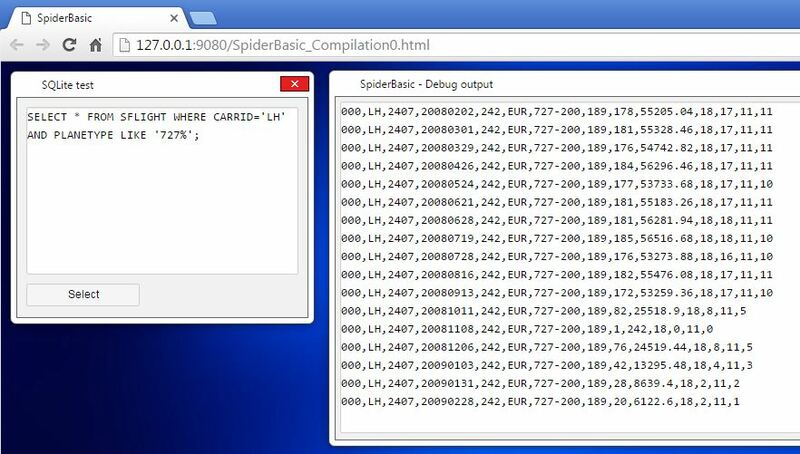 Maybe in a future release of SpiderBasic we get a database interface like in PureBasic. Please note than the database is stored in the browser local data, so it can disappear at anytime if the user reset its browser. If you don't need it to be persistent, it's great, but for other purpose, it can be dangerous. Nice code anyway ! I expand the example to use existing databases. Debug "Ein Fehler ist aufgetreten"
Now I load the database via XMLHttpRequest and select the information I need. 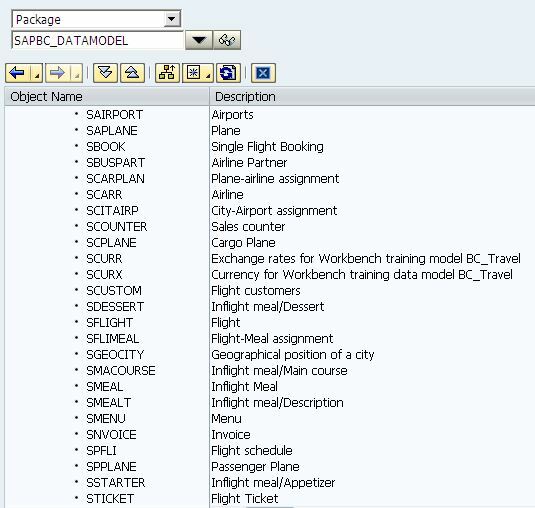 On this way you have the possibility - in combination with SQLite3COM, which I presented here - to use data from your SAP ERP system. Now, it's getting interesting, I can see the use of local database query for client app ! Thanks for the use case, I think it will worth it to have it built-in then ! 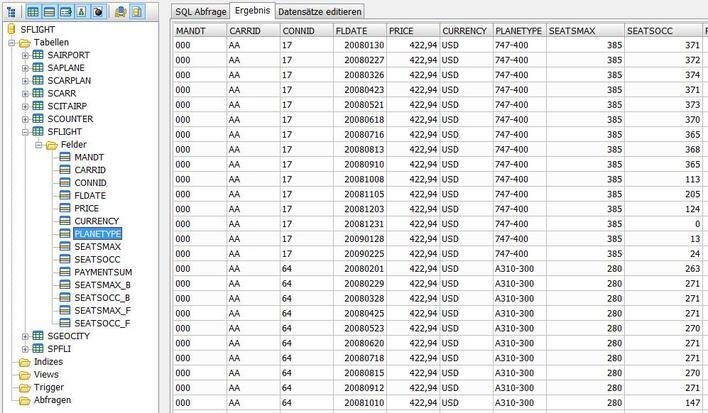 Export from a selection of different SAP tables as SQL commands and import via read in an SQLite database. This scenario is interesting for data which are rarely or never change, like latitude and longitude of locations or technical specifications. In the next step it could be of interest to mix these kind of data with highly topical data of high update frequency. I modified my code a little bit, now you have the possibility to save the changed database on your local file system and to reload it. On this way your changes are now persistent. If UCase(Left(sqlcmd, 6)) = "SELECT"
Nice little library, great work and thank you for sharing it. I was not aware of SQLite implemented as JS. This is going to be VERY useful for me.